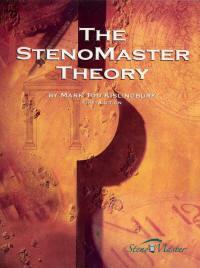 The Stenomaster Theory a.k.a. Magnum Steno. In short, the StenoMaster Theory answers modern machine writing needs: a shorter and more efficient way of writing for speed and accuracy for even established veterans of court reporting. The StenoMaster Theory is not only a foundational theory for the beginning student, but one that can rapidly and readily enhance the veteran reporter’s writing. The StenoMaster Theory is likely the most recent realtime, computer-compatible theory developed. Mark Kislingbury, who used it to set his Guinness World Record of 360 words per minute with 97.22% accuracy, and to achieve seven national speed records, published this Theory in November 2004. It is the embodiment of Mark’s three decades of court reporting experiences. The StenoMaster Theory is founded upon the belief that machine shorthand should be just that – short, and not stroke-intensive. Strategically building upon concepts rather than simply assigning arbitrary briefing, it readily expands each individual concept into potentially hundreds of brief forms. Common words and phrases are easily briefed using one concept as opposed to remembering different outlines for frequent words and phrases. Instead of having to learn unrelated brief forms, the student simply recalls one concept and applies that concept to families or groups of brief forms. The truth is that every court reporter, CART provider, or captioner uses briefs, either created systematically with great thought or on-the-fly during a deposition, trial, or when captioning. It just makes sense that if the reporter is eventually going to use briefs to save time and strokes, thereby improving speed and accuracy, that way of writing short should be developed in a consistent manner and should be learned from the very beginning. It is extremely difficult, as many experts can attest, to unlearn something so one can learn it a better way.